It is a nutritionally enriched diet that you can offer to your pet on a regular basis. It contains important nutritional elements that are required for a healthy and long life of your hamster. This dietary item comprises of natural and rich antioxidants for strengthening the immune and overall health. An essential element present in this food item is DHA Omega3 that supports a better functioning of eyes, brain and heart. Its probiotics and prebiotics assist in digestive health and can be preserved in the natural environment. Its fiber concentration helps in smooth functioning of the gastrointestinal tract. The price of this product is only $9.72. The dietary food product comes with a perfect blend of essential elements like minerals, vitamins and proteins that are important for maintaining a sound health of your pet. This food item is enriched with natural fiber and comprises the perfect blend of nuts, seeds, legumes, vegetables, fruits, roughage and appetizing grains for meeting nutritional requirements. The high palatable formula helps in a proper muscular development and its package comprises of the re-sealable zipper for retaining the freshness of food. The cost of this product is only $7.52. Classic Natural Hamster Food is packed with vital minerals and nutrients that have been specially formulated. It comes in different types of appealing shapes, textures, and flavors to offer a relief from the boredom of solitary cage confinement. The Zoo Vital Biscuits contained in this pack can satisfy the chewing urge of your cute hammy along with nourishing it with essential mineral and vitamin elements. Other ingredients added in this pack includes veggies, grains, and wholesome food. The price is only $10.99 only. It is a delicious and healthy food that comes with multiple advantages for the overall wellbeing of your hamster. These mainly include satisfaction of the chewing or nibbling urge of your pet, intensive exercise and excellent nutrition. It arrives in the shape of sticks that comprise of high-quality vegetables, seeds and grains that are thoroughly baked for ensuring irresistible, crunchy and healthy treats. These tasty and highly palatable sticks shall ensure that your hamster digests it with extreme pleasure and delight. Every stick comprises of a genuine wood center which is safe and chewable. The price of this product is only $6.15 only. It is the sole food item which has received the approval of National Hamster Council. 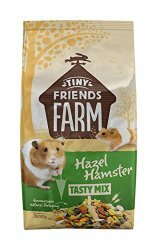 It is packed with perfectly blended elements of sunflower seeds, peanuts and soya for providing nutritional benefits as well as bringing fresh taste into the mouth of the hamster. It contains no extra sugar and arrives in different sizes, textures and shapes. It is available at $11.90 only. The ingredients of Harry Hamster Supreme have been carefully formulated keeping into consideration the health of your pet. Each ingredient comes with higher nutritional advantages and no artificial colors or chemicals. The product has been designed to offer long lasting life with good health. This food item is quite good for the digestive health and can satisfy its natural instinct of foraging behavior. The price is only $14.99. The product is mainly formulated to provide a delicious taste of yoghurt at the time of chewing food. It also comes with essential vitamins to ensure that your pet is not deprived of nutrition and has a sound and stout health. This yoghurt drop can be given as a treat to your pet as snacks. The yoghurt drops contain protein and natural whey for promoting a healthy lifestyle. The price of this product is only $6.04 and it comes with resealable bag and remains tasty and fresh. Sun Seed Vita Prima Hamster and Gerbil Formula Food comes with a high formulation of protein and comprises of ingredients like peas, egg and peanuts for adding delicious flavor in the mouth of your hamster. It contains spirulina and parsley for supporting the immune system and the seed of ground flax helps in improving the condition of coat and skin. The price of this product is $14.25 only. This product comprises of important nutritional elements and is quite suitable for the nourishment of hamsters along with mice and gerbils. It is currently available at a price of $19.99 only. It not only encourages the foraging behavior of your pet but also ensures complete nutrition with superb taste. It is a perfect blend of delicious ingredients like peas, wheat, oats, maize, seeds of sunflower and pumpkin, etc. 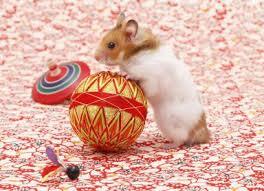 The product is rich in vitamins that help in maintaining vitality and well being of your pet hamster. The price of the product is only $48.82.